"Flojos®, recognized as one of the top sandal manufacturers in the world, is a name synonymous with the active, California beach lifestyle. Flojos® (pronounced flo-hos, meaning “kick back” in Spanish) specializes in beach, fashion and sport sandals for women, men and children, with a focus on comfort, style and affordable prices. All Flojos® sandals are designed with attention to detail and comfort, with materials including top quality leather, nylon, rubber and canvas. 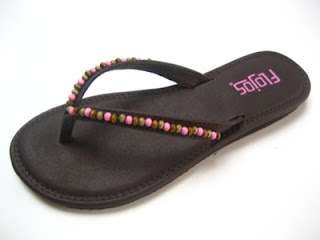 Most Flojos® sandals are perfect for a walk on the beach, but some women’s styles are elaborately trimmed with beads and sequins—the perfect accessory for a night out on the town." I love flip flops. Seriously. I wear them until it is so cold outside that my feet turn blue! I consider any day that I can't wear flip flips a bad day. To me, flip flops rank right up there with pizza and sleeping, which are ranked pretty high in my list of favorite things. Did I mention that I love flip flops? Needless to say, when I was offered the chance to review a pair of Flojos sandals, I was so excited. I chose the Pebbles sandals in brown. They are just too adorable, and can dress up any outfit. The Pebbles sandals are vegan leather sandals with a sliver wedge and beaded strap. Seriously cute! So, yeah, they look good, but how do they feel? Amazing! These sandals are quite possibly the most comfortable flip flops that I own. I wear them basically everywhere that I go because they just feel so good. And as if they could get much better, they are very reasonably priced too! You can purchase the Pebbles sandals from the Flojos website for just $37... much cheaper than other popular sandals that I have seen. I would highly recommend Flojos sandals to anyone. They have a wide selection for men, women and children, so be sure to check them out and find the perfect pair of sandals for yourself. BUY IT! You can purchase your own Flojos sandals at http://www.flojos.com/. WIN IT! One lucky winner will receive the Pebbles sandals in brown, just like the ones pictured above! 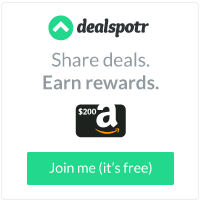 Visit Flojos, then come back and tell me about an item that you would like to try! Tweet about this giveaway! (Leave your Twitter name and a link) You can tweet this daily: “Flojos giveaway at Opinions of a Moody Mama #giveaway @coopersmommy @flojossandals http://tinyurl.com/43ufuj8 "
I also like the style of the Carrie Sandal. I like the Rumor but it was not an easy choice. 8/13 Vote on PF. You have just voted for Opinions of a Moody Mama! Remember, you can vote every day. I like the mens mason flip flops. My favorite are the Samantha in chestnut. From the Flojos website, I really like the Albany Shoes, Item No 504. I am a fan of Flojos on Facebook. I am following Flojos on Twitter. I think the Samantha are really cute! My favorite is the carrie sandal. Awesome! I would love to try the Blair sandals. I love the Trixie sandals! I like Flojos on facebook! 8/14 vote. You have just voted for Opinions of a Moody Mama! Remember, you can vote every day. 8/15 vote, You have just voted for Opinions of a Moody Mama! Remember, you can vote every day. I really like the Minny shoes. Email in profile. 8/16 vote, You have just voted for Opinions of a Moody Mama! Remember, you can vote every day. My favorites are the Brooklyn & the Pebbles shoes, so cute!